Handling insurance claims can go much smoother when you have a great company to work with. At Only 1 Auto Glass, we do everything we can to work with insurance agents to make sure the claims are processed smoothly and efficiently. As always, we strive to satisfy every customer. We treat our customers with the respect they deserve from the moment they drop off their vehicle until they walk out of the door. People who have used us for their windshield repair in MN needs leave with a smile on their face. Almost all of our customers tell us they would be back if they are ever in need of a windshield replacement in MN again. As an insurance agent, we know your clients’ satisfaction is important to you. You can be sure when you refer your client to Only 1 Auto Glass, they will be treated as a valuable customer. Quality work is our standard. We work quickly and only use quality materials. Our technicians are experienced and knowledgeable about windshield repair. We focus on safety and technique training. We ensure all of our staff has the proper equipment and skills necessary before ever working on a vehicle. Supervision by our highly trained and expert staff is required for inexperienced technicians. When it comes to windshield replacement in MN, Only 1 Auto Glass is one of the most experienced around. 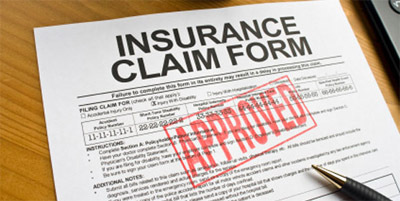 We know that some companies are not easy for insurance agents to work with. Nothing is more frustrating than dealing with a company that loses paperwork, has errors on its invoices, and takes days to fax the necessary documents. At Only 1 Auto Glass, we are dedicated to our business relationship with you. Our paperwork is processed efficiently and promptly. The honest prices at Only 1 Auto Glass are some of the best in the area for the high quality of work we provide. As someone we do business with, your referrals are very important to us. That is why we strive to be the most dependable and efficient option for insurance agents. When you work with Only 1 Auto Glass, you will be in touch with a representative. Although any of our staff can help you when necessary, your representative is there to make sure you are satisfied with the work being provided. This helps you have a link to our business who you can call on whenever you need. They will get to know you and how you do business to better tailor our services to fit you as the insurance agent. Only 1 Auto Glass makes referrals easy and convenient. You can get in touch with our friendly customer service staff by email. Representatives are available 24 hours a day, 7 days a week. Only 1 Auto Glass has more to offer than great service. We also hold car insurance continuing education classes for insurance agents. Staying on top of the auto maintenance and repair industry can be difficult and confusing. Our classes give agents and their staff the opportunity to learn and ask questions about the new techniques in windshield replacement MN. Learning from the professionals who perform the windshield repairs MN can be beneficial for your staff as they go about their daily tasks of assessing damages. No matter where you are in the Twin City metro area, there is a class near you. The car insurance continuing education classes are offered at various times at several locations throughout the city. Call today to speak to a representative about the classes.